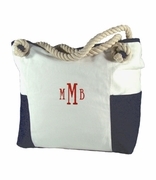 Monogrammed Stripe Canvas Duffel Bag. When this weekends trip or overnight stay requires a heavy duty duffle bag, we have the bag for you. A generously size canvas duffle in a dark navy blue stripe with natural off white. Medium brown faux leather handles attach with brads and are double stitched. 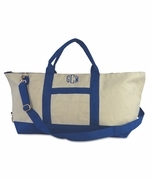 Wide padded adjustable canvas shoulder strap is detachable. Large wide opening for access to contents. Matching business laptop style flight bag can be purchased for a matching set. Great graduation gift, retirement present or gift for traveler. 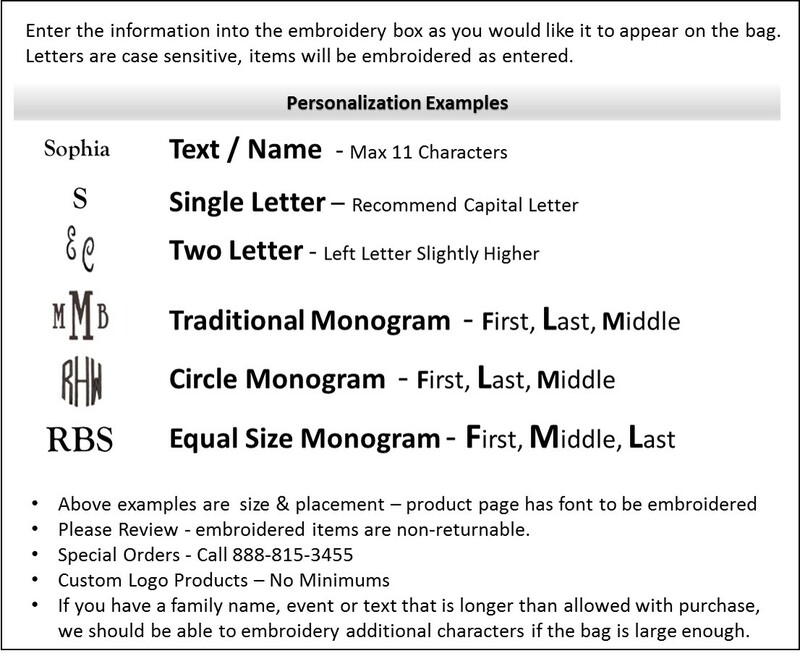 Add a monogram with initials for a classic look. Quality construction and finishing. Striped canvas duffel bag measures 26"W x 14"H x 10" across bottom. Heavy duty zipper closure.